It's 2017 and contouring is still here. I don't care what the YouTubers' are saying about trends that need to die; contour palettes are still all over the place! 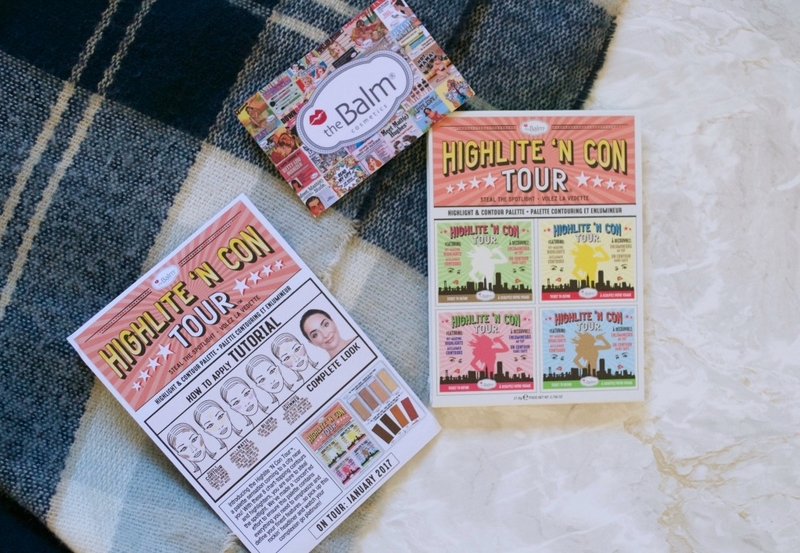 The newest one comes from theBalm - Highlite 'N Con Tour™! A palette that has all your face powder needs covered - two shimmery highlighters, two matte highlighters, two matte contour powders, a matte bronzer power and a matte blush. As always, theBalm has cute and witty packaging down. It is themed around a music concert and the names resonate this too. The large mirror inside is great as you can actually see your whole face as you contour. That helps! It also comes with a helpful illustrated guide showing how you can apply each of the powders. 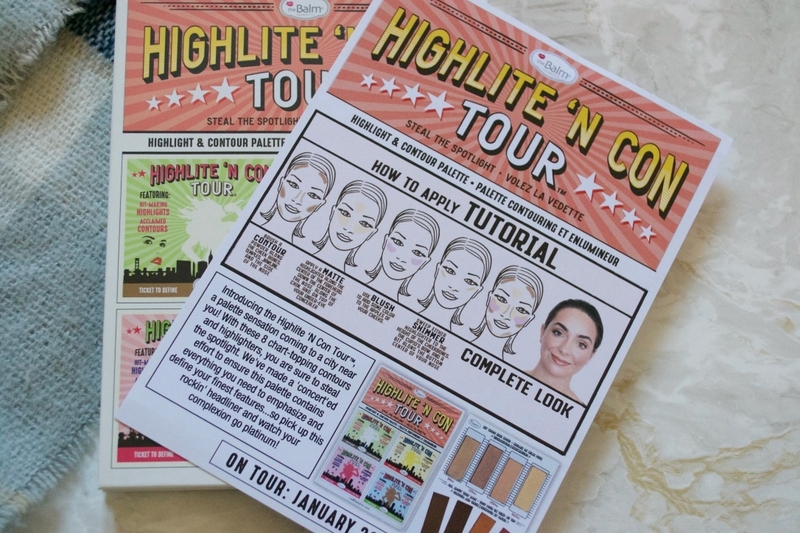 This is great for those amongst us that are either starting out or just are a little apprehensive about contouring techniques. The two shimmery highlighters are 64Hz and 125Hz. 64Hz is a champagne gold highlighter, not too far away from Mary-Lou herself! 125 Hz is a more rose gold toned highlighter, which looks amazing lightly layered on top of a blusher. The two matte highlighters in 250 Hz and 500 Hz can be used to set your under eye area and the area you'd usually highlight. 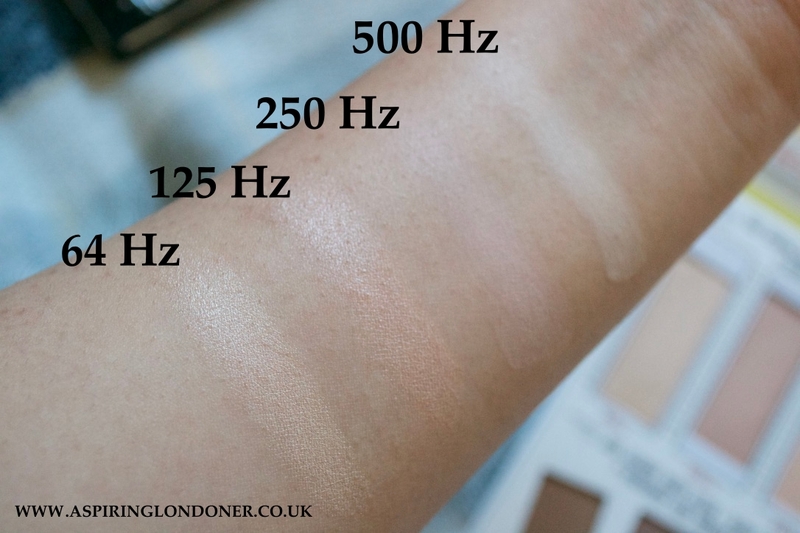 500 Hz especially is brilliant for strobing on minimal makeup days, as there isn't a shimmer in sight! 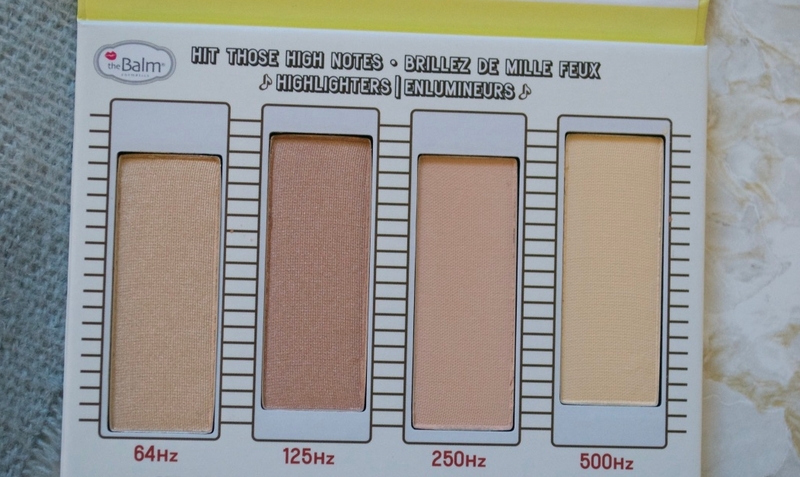 If you haven't tried theBalm Mary Lou-Manizer highlighter, then fear not - 64Hz is pretty much the same thing! I've used this so much already. 125 Hz I've been using without a blusher and gives a great healthy sheen. 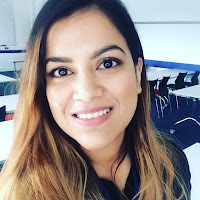 The quality of the products are just as great as I expected, soft, consistent and pigmented. The matte highlighter especially are incredibly soft, so you need the lightest dusting with a small fluffy brush. It sets the area under my eyes perfectly and helps my concealer to stay without creasing! The contour powders don't have that muddy tone and isn't too warm either. 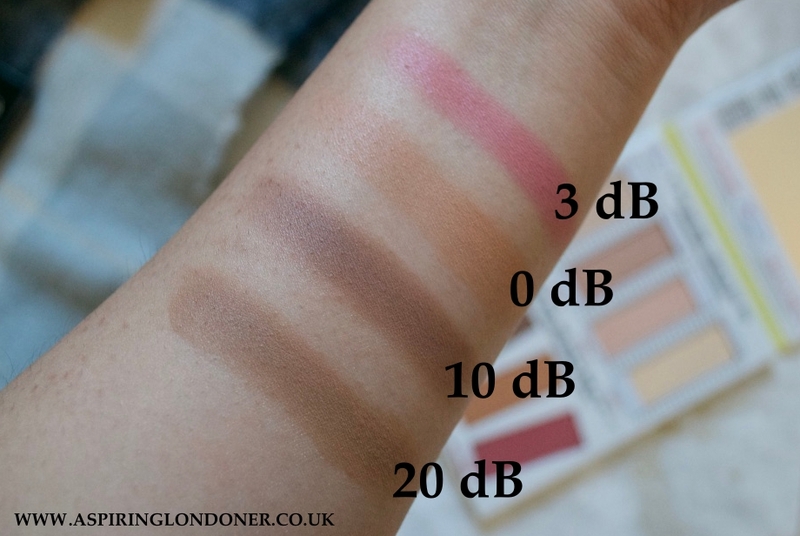 The two shades mean that you can opt for a darker tone, 10dB, if you're sporting a tan. These blend like a dream, so no risk of any stripey makeup! My least used product from the palette is the blush, 3dB. Although it's a great product, I would have preferred a more neutral colour. I have used the blush, however this isn't a colour I'd reach for on a daily basis. 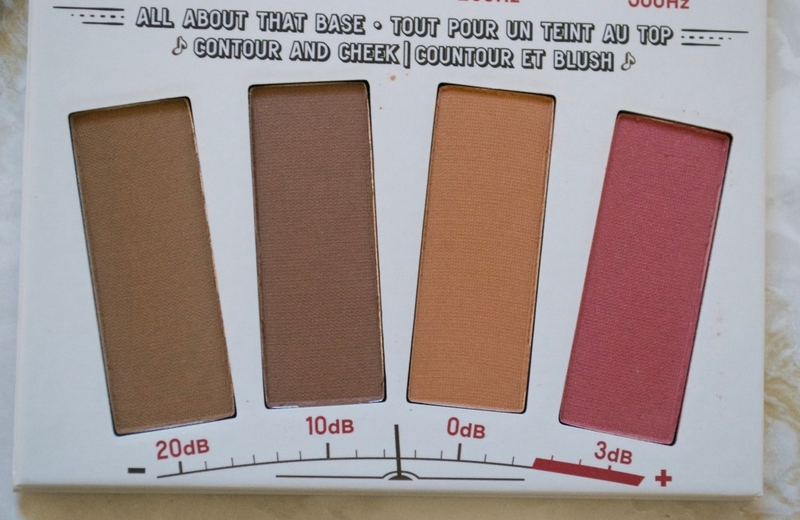 Other than that, this is a palette I'd recommend to any contour and strobe loving beauty aficionado! I have been using it everyday and even took it away on my recent city break to Amsterdam. It hasn't disappointed in being the one face palette to cover my face powder needs. The palette retails for £32 and is available at FeelUnique and Debenhams. Are you a contouring and/or strobing fan? 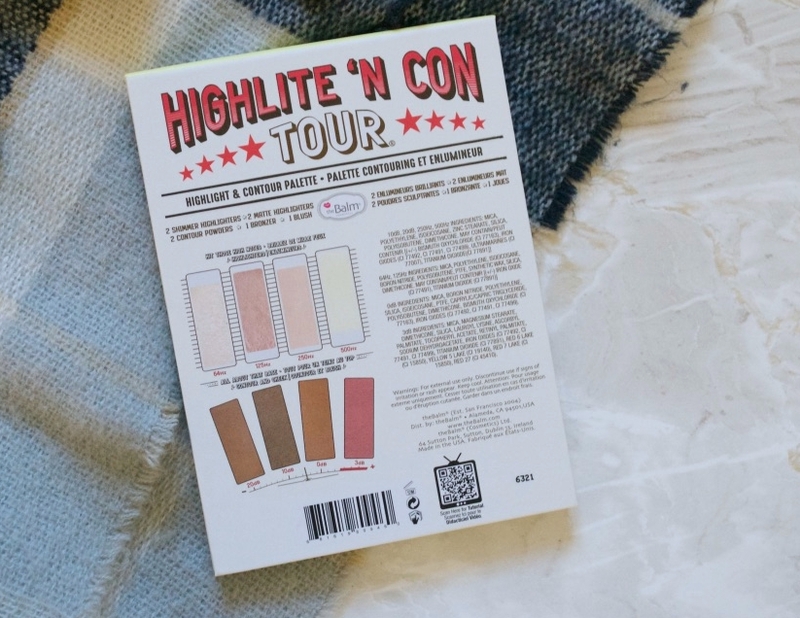 What do you think of theBalm's Highlite N 'Con' Tour palette? 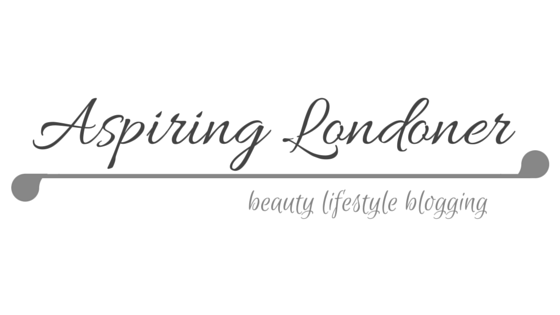 Let me know in the comments below or tweet me @aspiring_london!